BYU men’s basketball transferred the positive energy of a home environment into a 71-66 win against the St. Mary’s College (SMC) Gaels on Thursday, Jan. 24. Just three weeks ago on Jan. 5, BYU faced SMC in the Gaels’ hometown of Moraga, California. BYU walked away with a 66-88 loss. 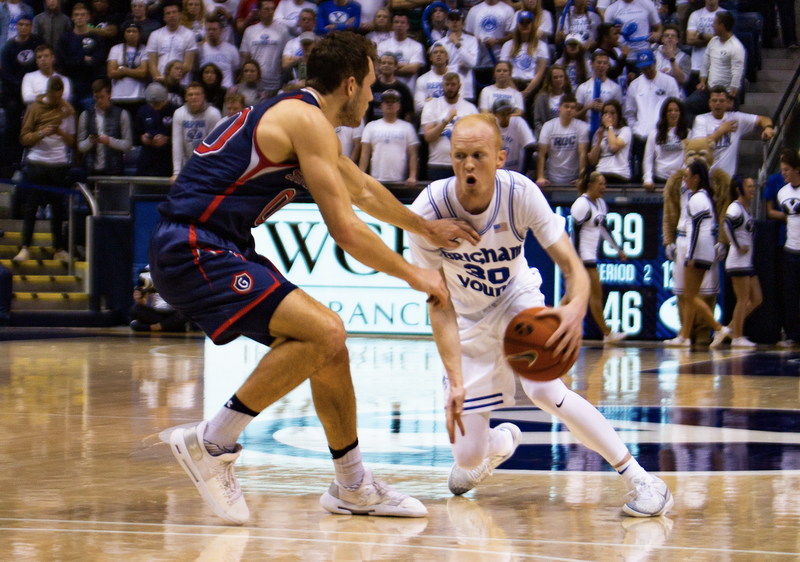 After evaluating the Gaels’ past performances, BYU coaches said they prepared the team to tackle SMC’s specialties: scoring in the paint, post ups, layups and 3-pointers. Currently, the Cougars hold a 13-9 record, with 10 of those successes being on home turf. Coming off a loss in San Francisco, head coach Dave Rose stressed the importance of getting back to the Marriott Center to refresh. “You’ve got to continue to win because the confidence is so important with these guys and you need that positive reinforcement,” Rose said. SMC came in running, forcing BYU to play catch up for the first 14:52 minutes. However, the turning point happened early on in the game at 5:48 minutes. SMC guard Tommy Kuhse’s field goal would earn the Gaels another two points, but this would be the end of the team’s lead. 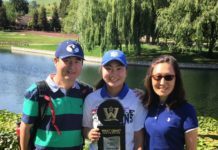 SMC quickly fell into what would be a fatal scoring drought for three minutes, giving BYU the opportunity to surpass its rival. With 3:30 minutes left in the first period, Childs slam dunked, finally putting the Cougars ahead 24-22. Nearly half of the points in the first period can be attributed to Childs, who ultimately scored 23 points in total. This momentum would propel the Cougars through the remainder of the game, maintaining their lead for the entirety of the second half, turning 10 turnovers into 17 points. 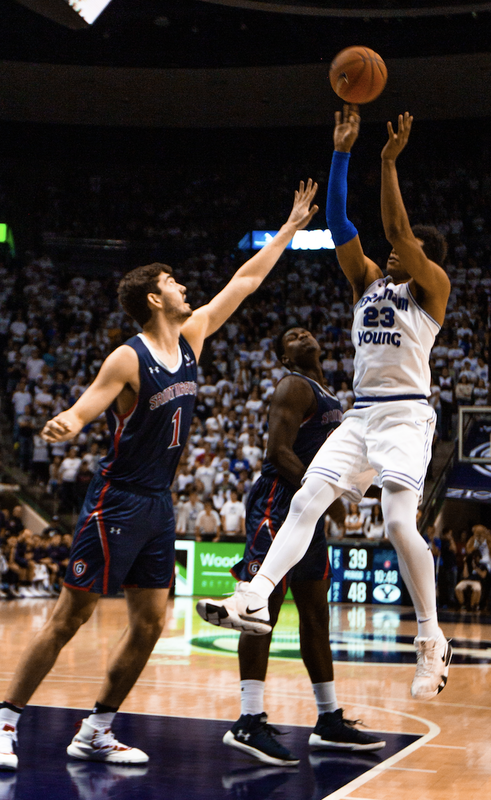 While the goal was to keep SMC feeling uncomfortable, the team never trailed more than 12 points behind the Cougars, forcing BYU to stay checked in. With four minutes left in the game, SMC managed to cut the lead to 61-57, the smallest gap since the end of the first period. In the end, the Cougars pulled through with a score of 71-66. Aside from Child’s impressive statistics, one of the team’s newest recruits, freshman forward Gavin Baxter, earned BYU 10 points during his 27:09 minutes of play time. 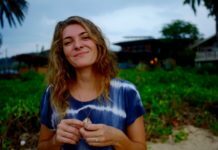 At the end of the day, Rose felt the team’s confidence showed through its continued aggression and ability to drive the ball. The Cougars take a break from hitting the road as they face Gonzaga at home next Thursday, Jan. 31.